Dr. Byronn Hahn offers non-invasive cosmetic procedures to painlessly improve the aesthetics of your smile. At Southridge Dental, we know that each smile is unique and requires an individualized treatment plan to remove stains effectively. We offer several options for brightening your smile with teeth whitening in Henderson, NV. your smile. In keeping with our mission to provide gentle, comprehensive dentistry, Southridge Dental offers several types of whitening systems to treat varying levels of stains. Our teeth bleaching systems include: KöR Teeth Whitening: This system is highly effective for removing deep, internal staining. Patients who underwent tetracycline treatment have found this system highly effective at removing stains left by the medication. In addition to in-office treatment, Southridge Dental offers KöR take-home trays. Sapphire Professional Whitening: This teeth whitening system uses a combination of whitening gel and a special UV light to brighten your smile. 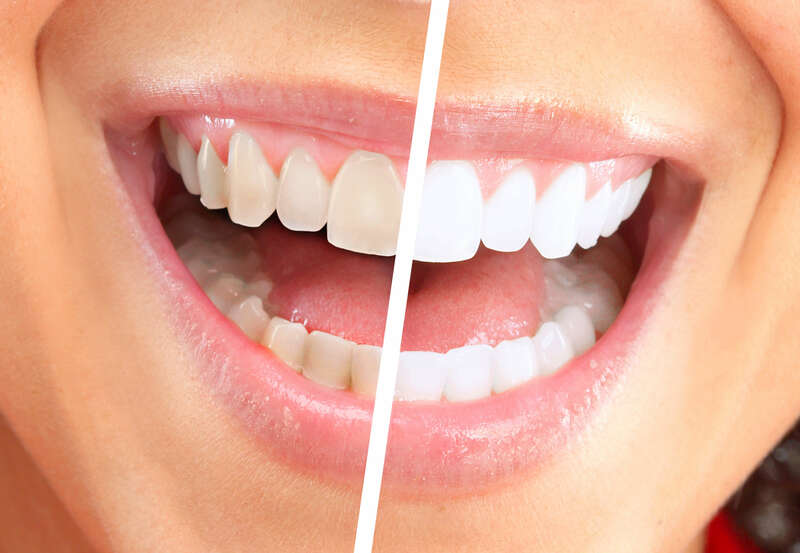 Unique among bleaching systems, the Sapphire whitening treatment uses a desensitizing solution, making it a comfortable option for patients who suffer from sensitive teeth or gums. Zoom! Chairside Whitening: Similar to Sapphire, this bleaching system also uses whitening gel and a special UV lamp to transform your smile. This treatment offers busy patients a convenient and effective solution that whitens teeth in about an hour. While results are noticeable following an initial treatment, it is recommended that patients use touch-uptake-home trays to maintain their bright smiles. Teeth bleaching systems are a great way to transform your smile. However, some patients may find that teeth whitening does not remove all stains. For these patients, veneers may be the best solution to achieve a bright smile. Veneers are very thin, porcelain shells that are bonded to the front of your teeth. In addition to brightening your smile, veneers create a uniform look in terms of the shape and positioning of teeth. At Southridge Dental, we offer traditional veneers as well as prep-less veneers for eligible patients. With traditional veneers, your teeth are gently filed to ensure the veneer looks natural, while no-prep veneers can be applied without this initial filing. At Southridge Dental, ensuring you achieve your ideal smile is our priority. To learn more about the teeth whitening solutions offered at our Henderson practice, contact Dr. Hahn and his dental team today. We look forward to helping you find the right treatment for your smile.